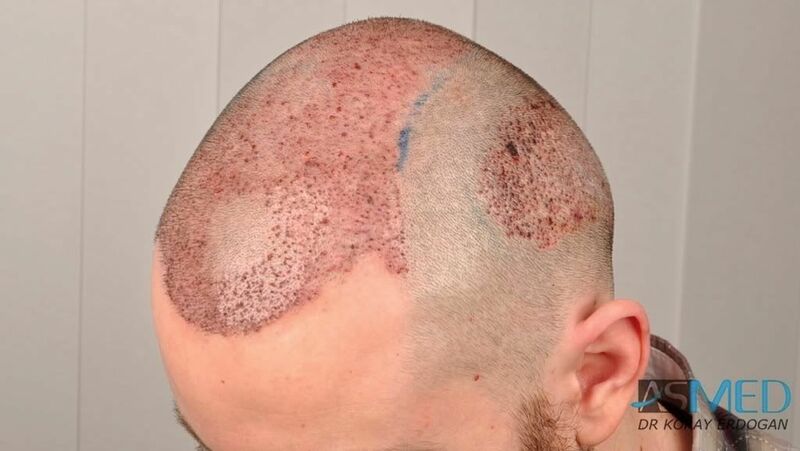 2200 grafts FUE Repair, extracted by titanium manual punch, diameter 0.7 - 0.9 mm. 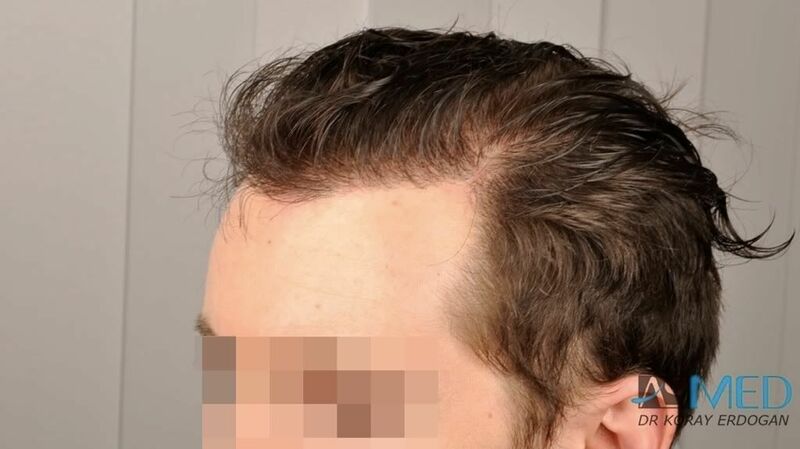 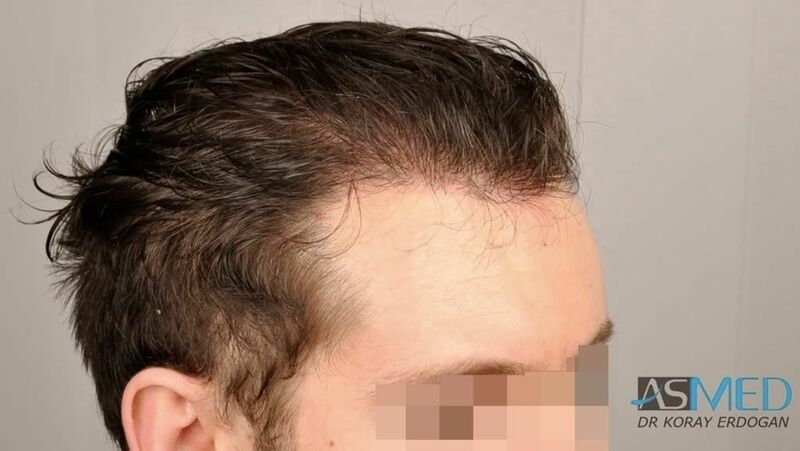 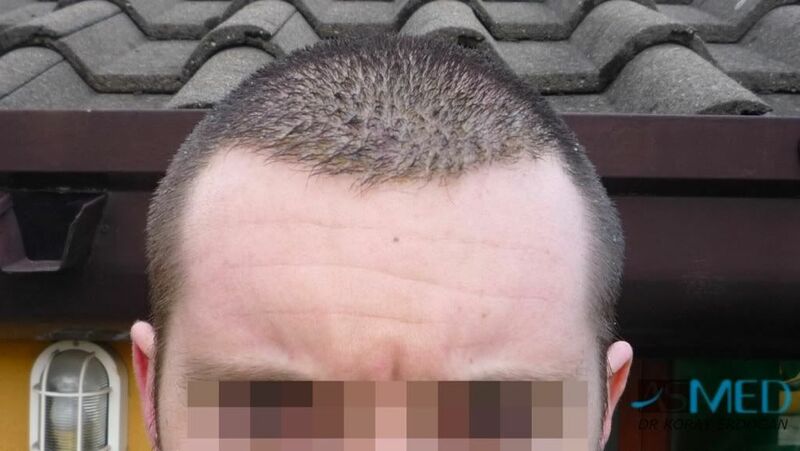 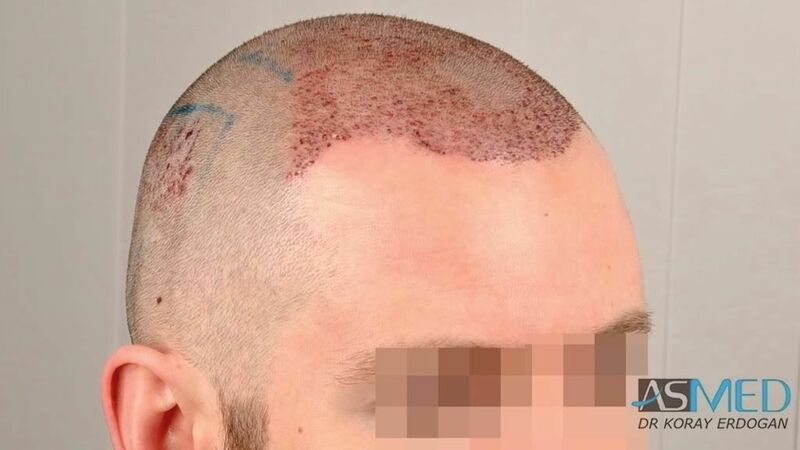 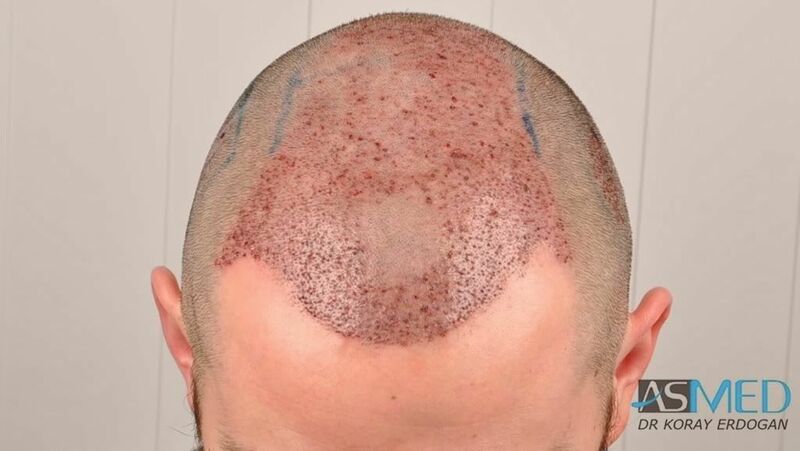 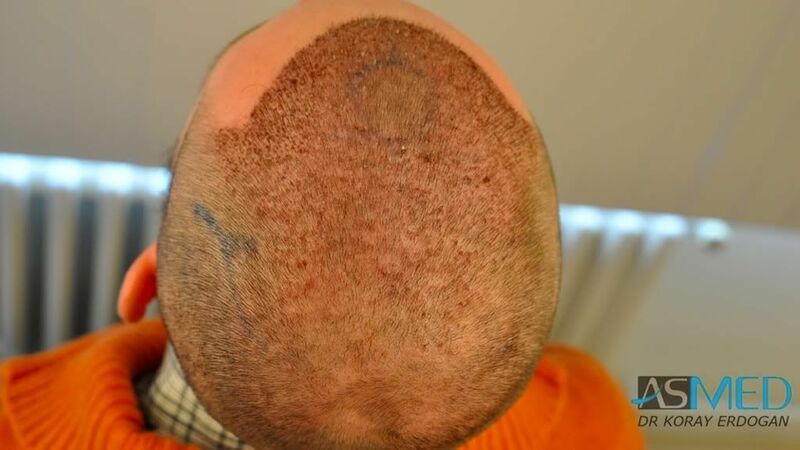 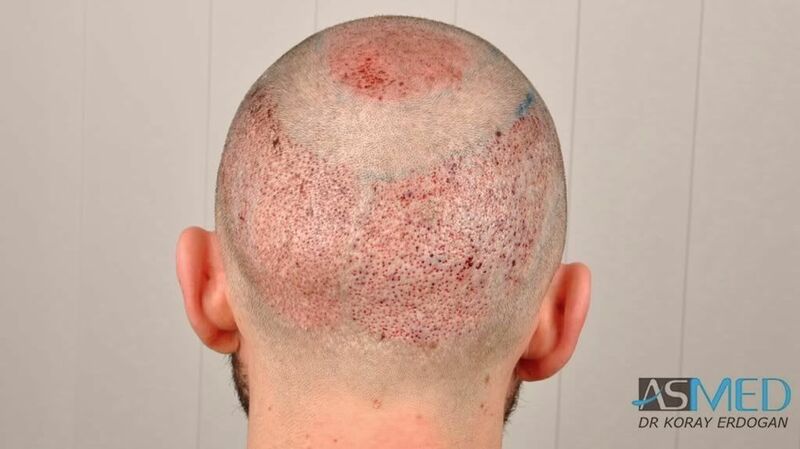 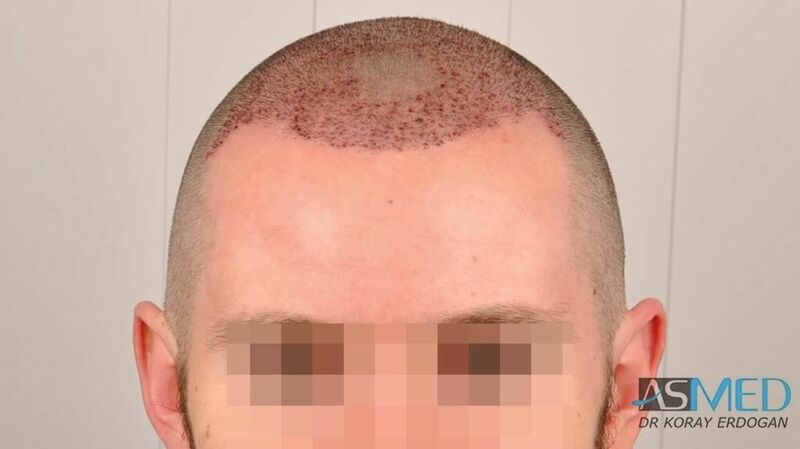 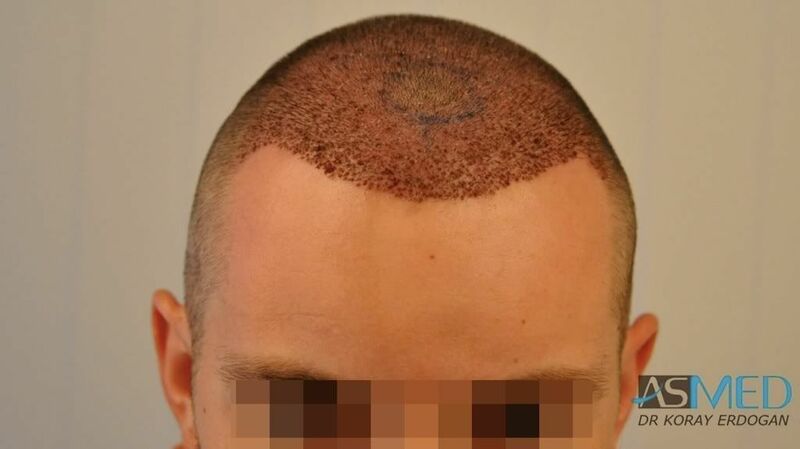 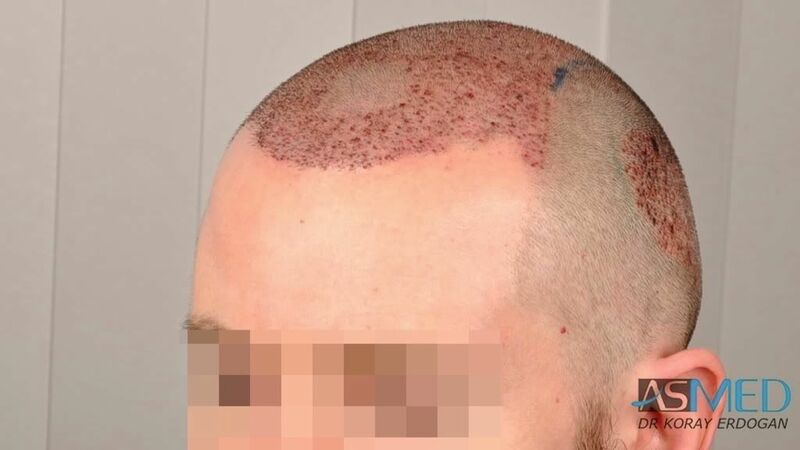 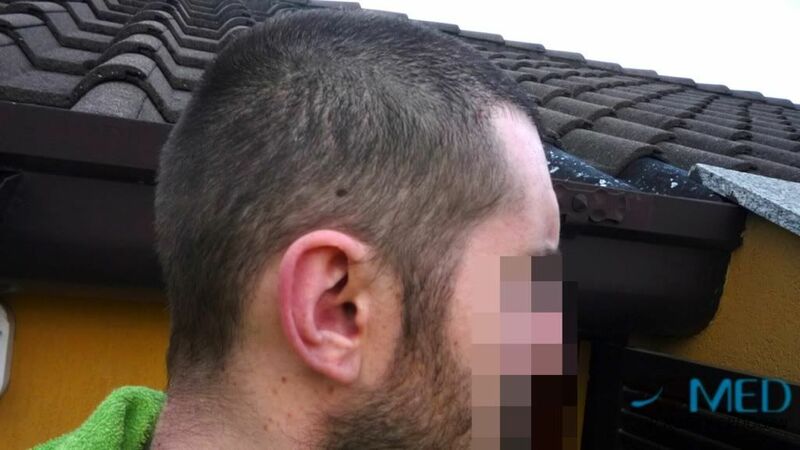 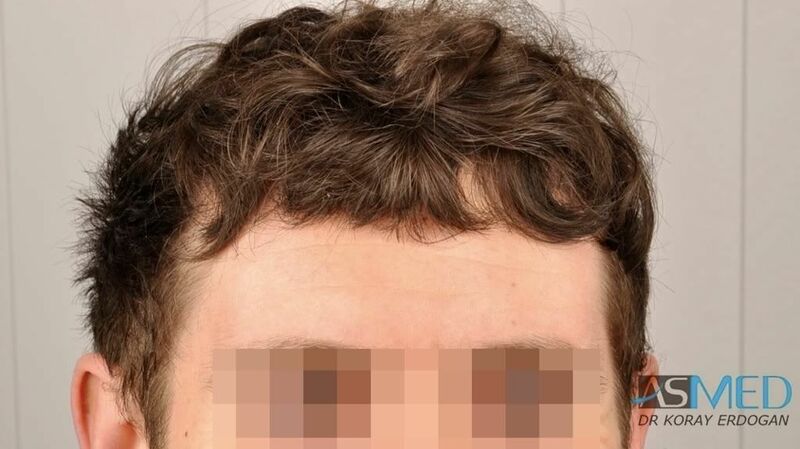 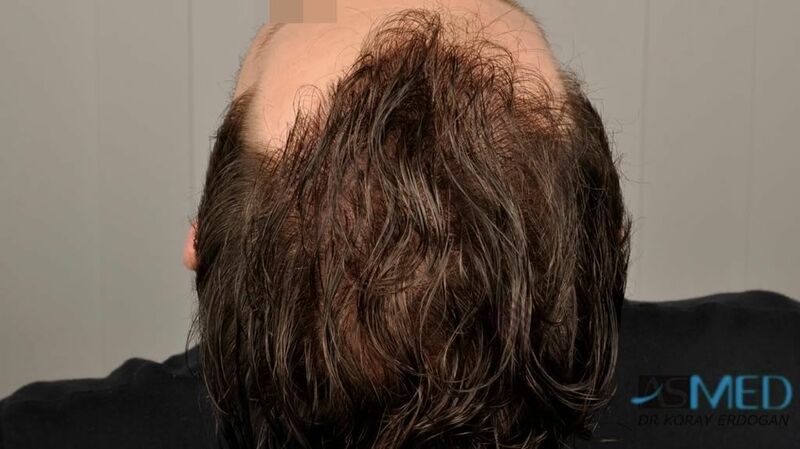 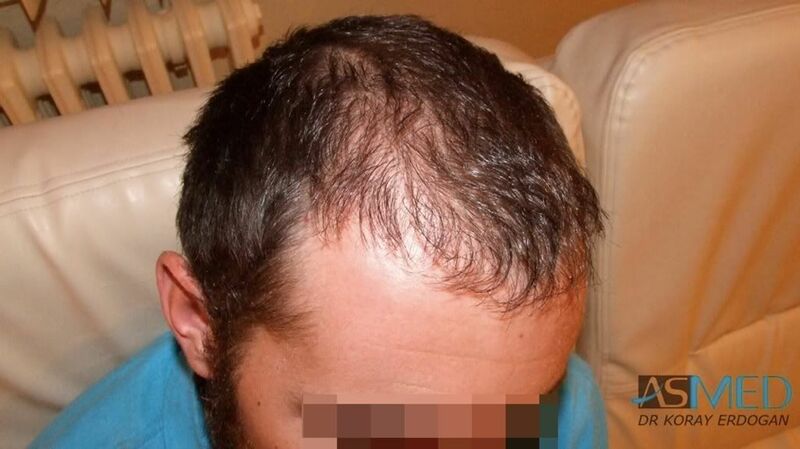 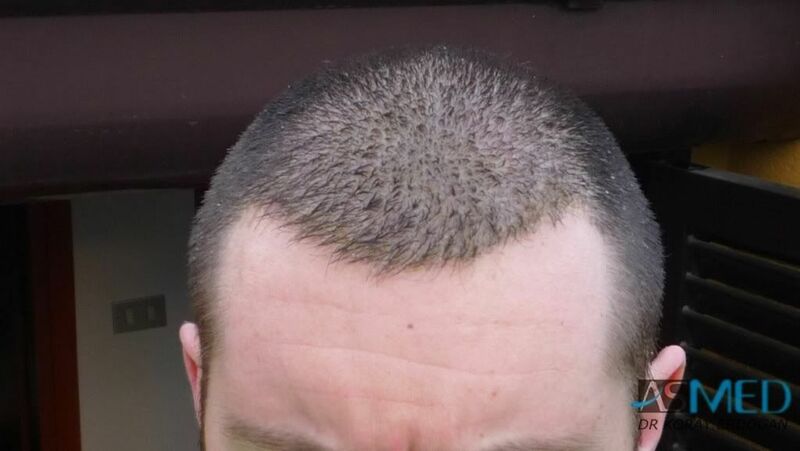 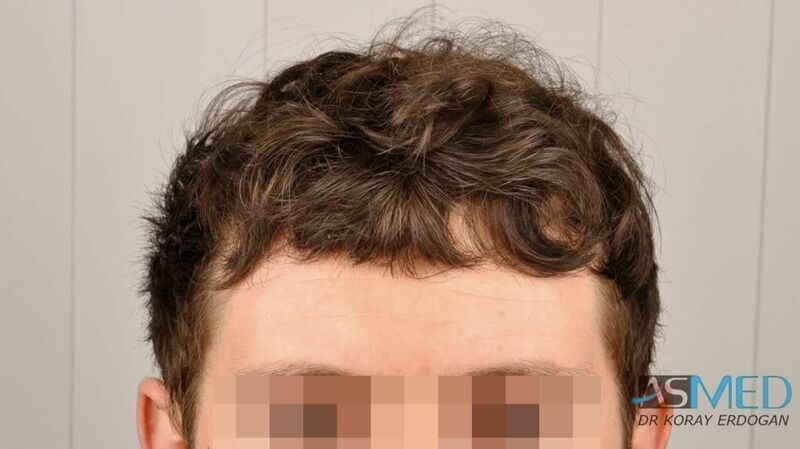 This patient previously had a non-satisfactory FUE operation with another clinic, leaving him with poor density and visible hair plugs. 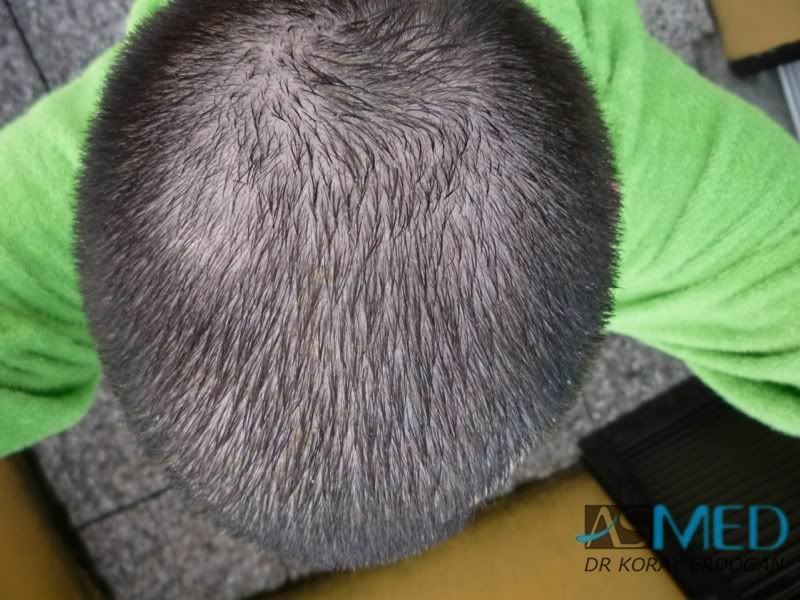 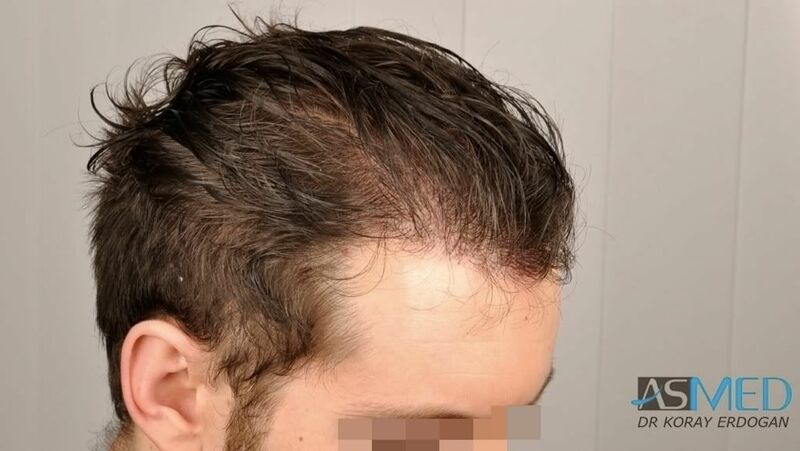 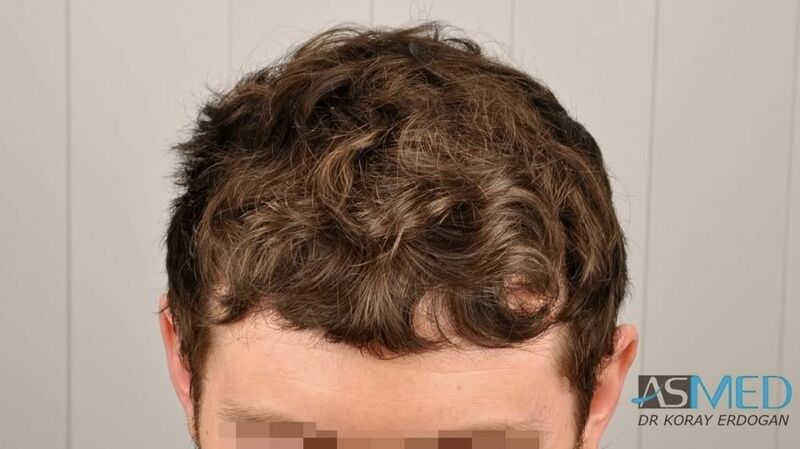 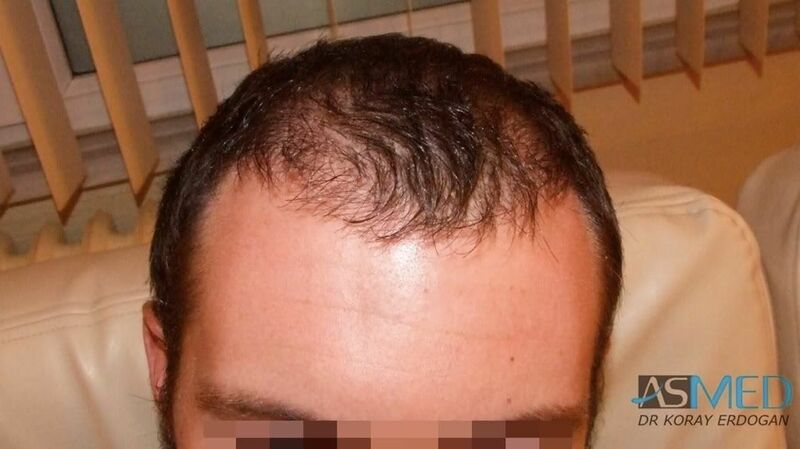 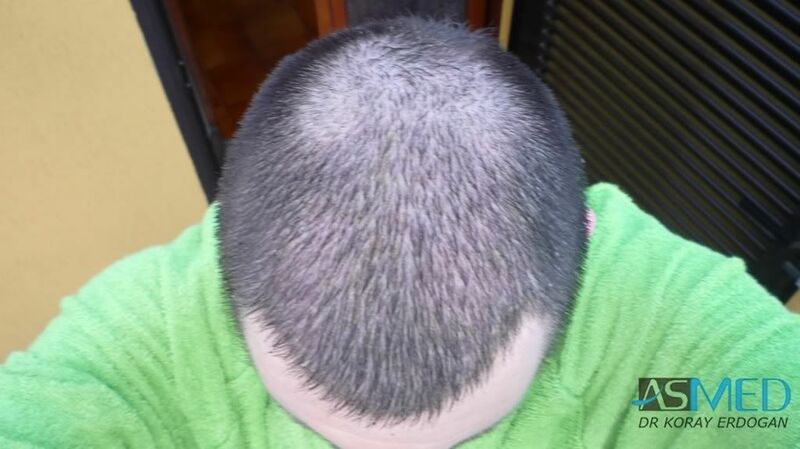 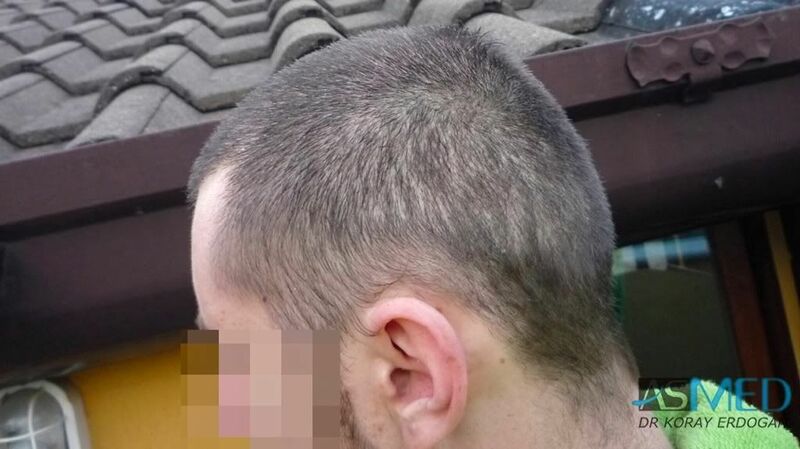 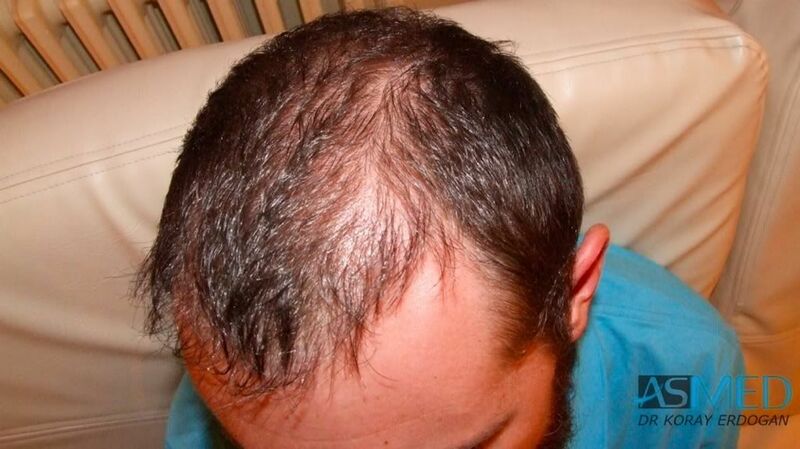 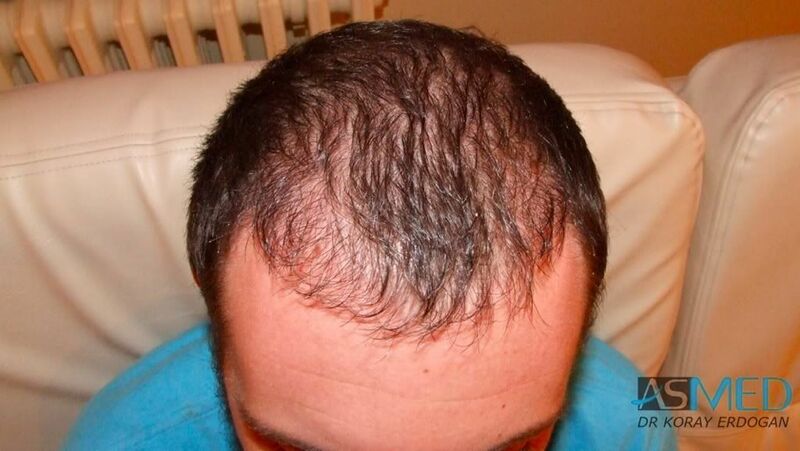 2225 grafts FUE, extracted by titanium manual punch, diameter 0.7 - 0.9 mm. 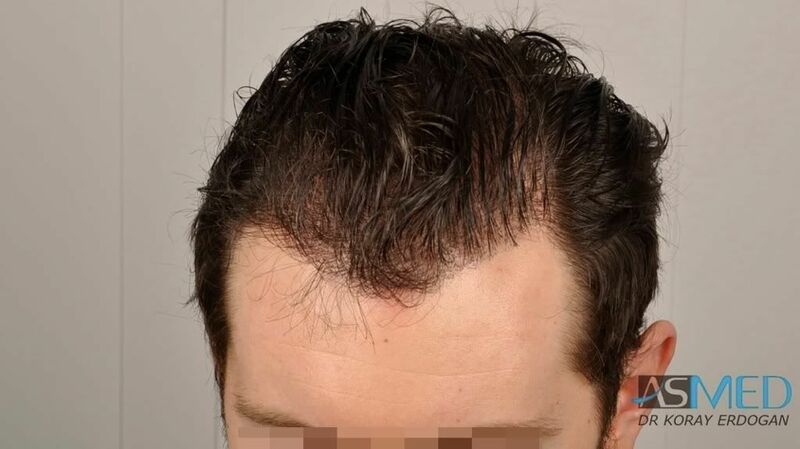 OPERATION DETAILS: 1003 grafts FUE extracted by manual punch, diameter 0.7 - 0.8 mm. 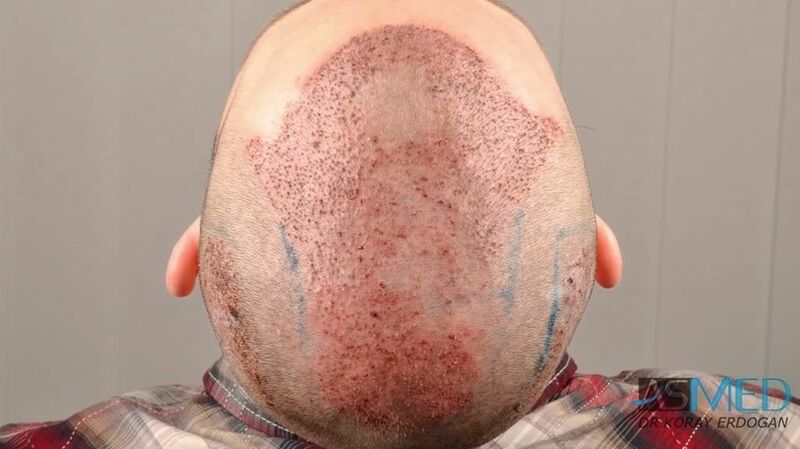 GRAFTS DISTRIBUTION: 1003 grafts were used to restore the patient’s frontal area and vertex area. 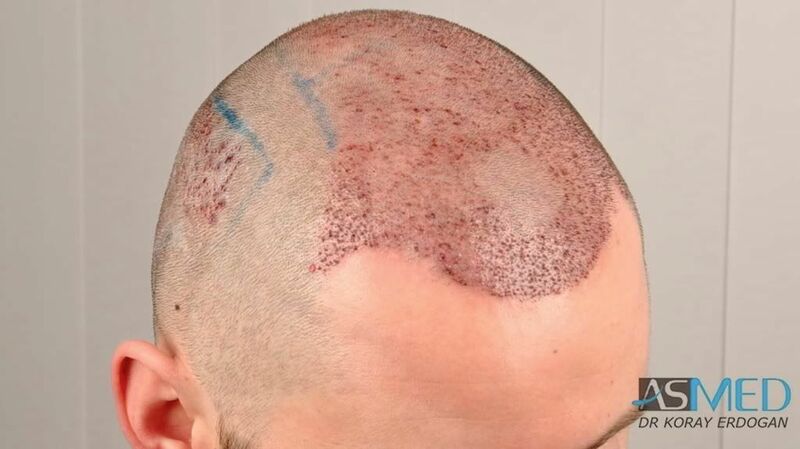 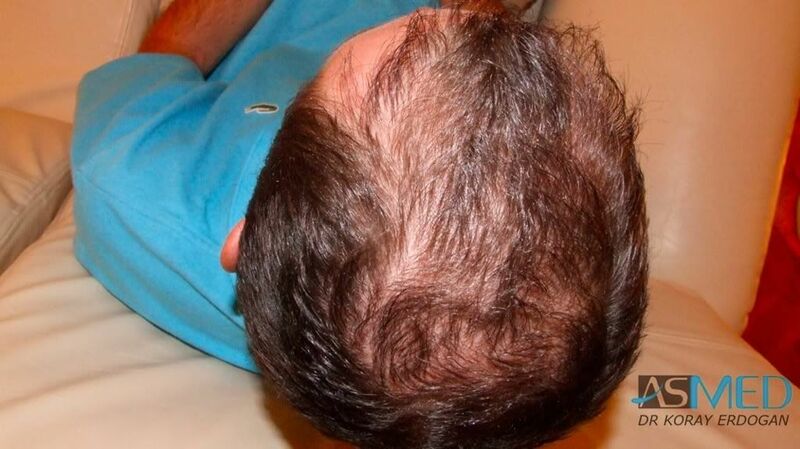 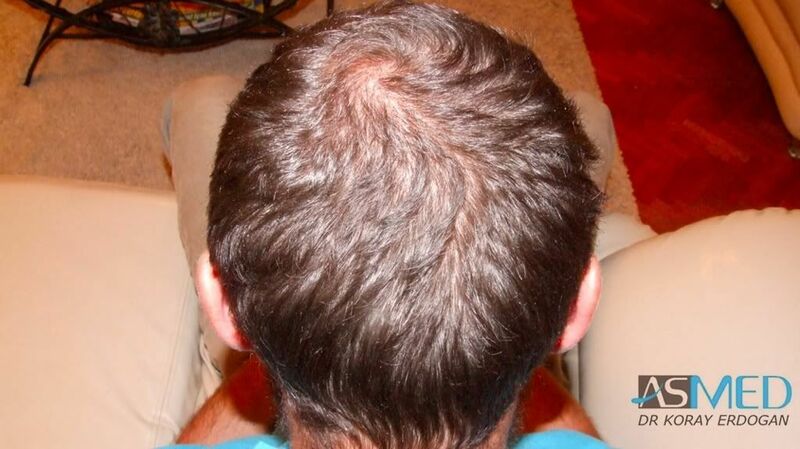 When deciding on getting a hair transplant, its important to factor in the hair transplant cost. 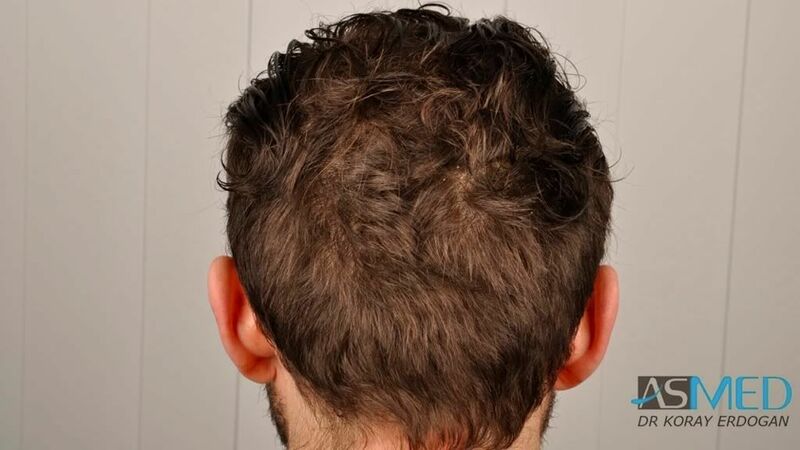 The cost is less than what it would be if getting a hair restoration procedure done in Europe or America; however, when looking at cost and comparing doctors, it’s important to go to a clinic and doctor which has a well known reputation as well as being up to date with sanitation standards as well. 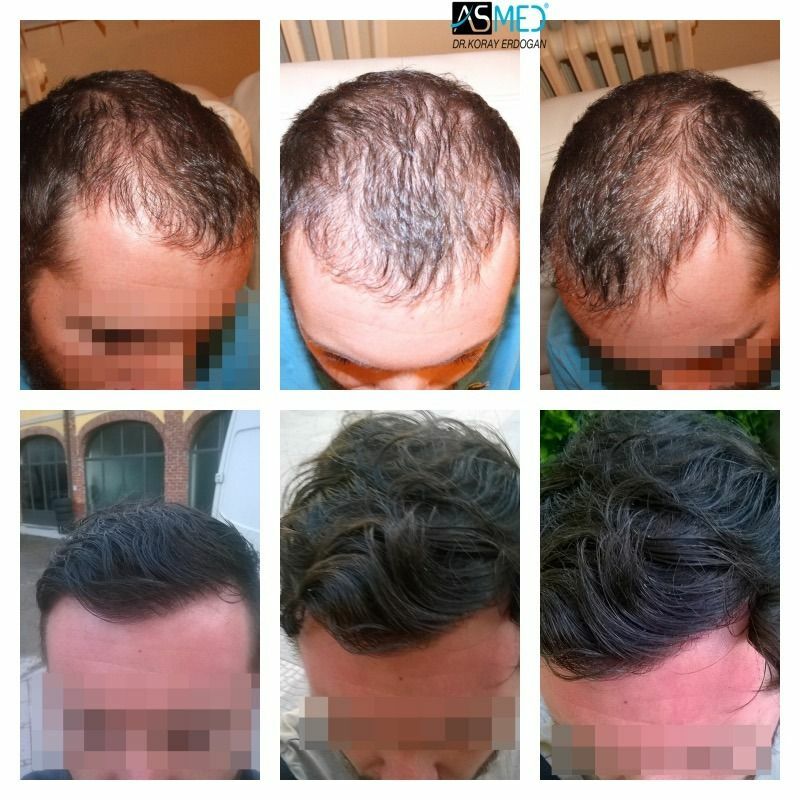 Our doctor, Dr. Koray Erdogan at ASMED clinic, in Istanbul has years of experience in the hair restoration field and continues to educate himself along with his staff, in addition to holding daily meetings on hair restoration procedures. 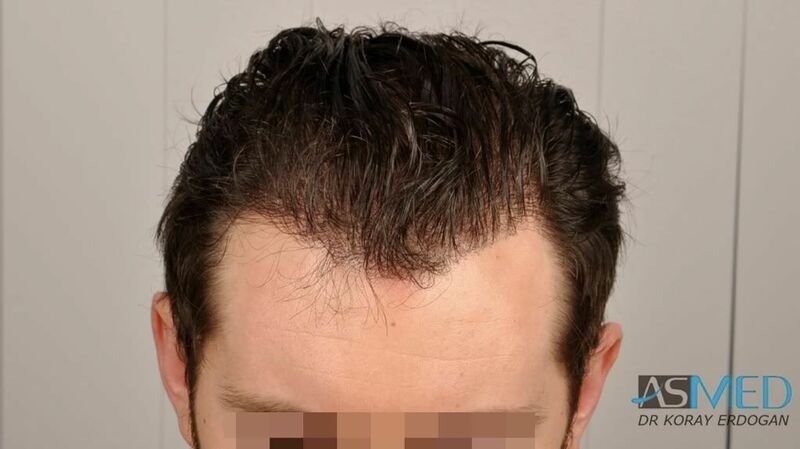 I wish you would mention who the other clinic is so that we will stay away from the bad guys.